It is a type of surgery that replaces a damaged knee joint with an artificial one, composed of metal and plastic. The main intent is to restore mobility and eliminate pain, which improves patients lifestyle dramatically. There are other names that this procedure goes by, including knee resurfacing and knee arthroplasty. The joint around this area wears down with ageing, but the process can be significantly worsened by an underlying knee injury. Yet, arthritis remains the main culprit for knee surgery. Whereas every type of arthritis affects a different part of the tissue, the consequences are pretty much the same. First off the patient’s physical activity is limited, and second, the pain can be unbearable. Depending on the severity of the problem, you will need either total or partial knee replacement. This will be determined by a qualified specialist after a bunch of examinations are done. Annually, people of older age groups (50-80 yo) receive artificial joints to increase their range of motion. Up until recently, such a treatment meant bigger incisions and more visible scarring. But the technological advancements of today allow for more precise cuts and better results. What is the latest knee replacement technique? The most recent method of replacing knee joints is computer-assisted. This makes it much more accurate and reliable than conventional surgery. Of course, part of the job is still done by a surgeon. But there is less room for mistakes since the computer does all the calculating and marking. Three main instruments take part in the surgery. The first one is a tracking system which is usually positioned beside the patient. It represents a pair of sensors that plan the surgery and provide guidelines on the optimal cutting manoeuvre. The system also gives real-time feedback to the surgery team regarding the best position of the saw-blade. The second instrument is rigid markers. These are the gadgets that send the tracking system data about the position of the different structures. The surgeons attach some of these markers to the tibia (shin bone) and femur via small stab wounds. The other markers are stuck to a sawing jig. This helps to tell the tracking system where the cuts will take place. The third instrument is a computer platform which is programmed to receive the information collected by the rigid markers. It then analyses the data, providing a three-dimensional picture of the bones, coupled with some calculations. This enables the surgeon to make more accurate cuts by the submillimetre. Smaller incisions lead to little scarring and a better range of motion. Even if the femur or tibia have some inherent malformation, the system will still be able to do the right calculations. That’s the biggest advantage to it. But there is certainly more. For example, if there already exist implants in the femur, the system can get the job done without removing them. That’s the beauty of it. Furthermore, the surgeons don’t have to use a long rod anymore. As far as the traditional technique is concerned, such a tool is inserted into the femur. However, the more advanced technique does not necessitate anything like that to do a great job. Hence, less blood loss occurs in the patient. Lastly, the latest knee replacement option delivers better results than traditional surgery. A satisfaction rate of over 92% is achieved with this technique and the results are long-lasting. What is a robotic-assisted replacement then? Now, this type of surgical procedure takes knee arthroplasty to another level. With a computer-navigated treatment, the calculations are executed by the system, but still, all the cutting work is done manually. Therefore, the accuracy of the manipulation could use some further improvement. Robotic-assisted total knee replacement is a different thing. Basically, the entire cutting process is done by a robot, hence any mistakes are kept to a minimum. In contrast with the previous technique, the planning is executed before the surgery begins. A CT scanning (Computer Tomography) is performed on the affected lower limb preoperatively. This helps determine the centres of the ankle, knee, and hip. When the plan is ready, it is uploaded into the system. The robot takes it from there, doing the required incisions with a huge precision. The good thing about this is that some very important parts of the knee remain intact. A big drawback is that this type of surgeries is quite expensive. The time it takes to finish the procedure is also a concern. 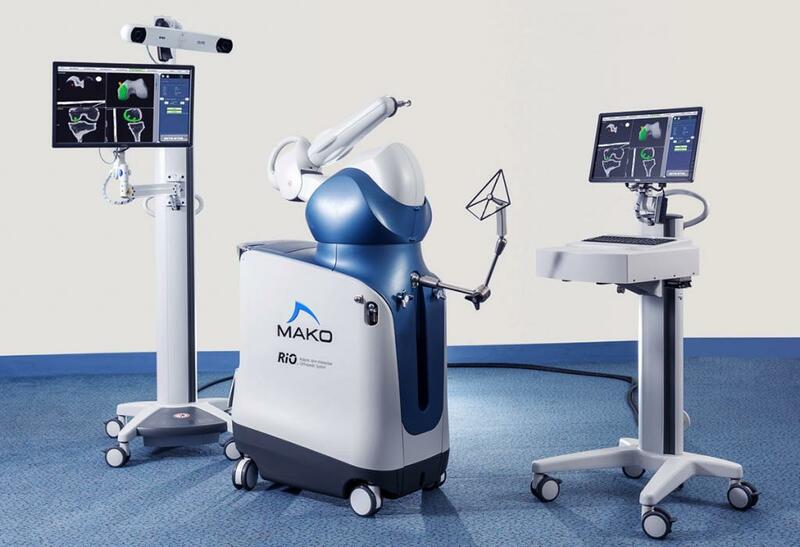 This is because the robot has to be adjusted to meet the patient’s specific needs. On top of that, people who have extreme deformities do not qualify. About a month and a half post treatment you will be able to go back to normal activities. However, the first few weeks after surgery, you will need to use crutches to move around. Also, it may take longer for the swelling and ache to settle down. The doctor can prescribe pain relief medication as necessary. During that time you need to do regular exercises to make your knee stronger. A physical therapist will give you guidelines on what you can do and what you should generally avoid. When is the right time to get knee replacement surgery? A good indicator is severe knee pain which restricts activities such as walking and standing. You need to consider replacement in two cases. One, no pain medication or physical therapy have been able to help so far. Two, the problem is keeping you from having a normal life. Other signs include knee stiffness, inflammation or swelling that don’t really go away. Last but not least, if you experience a bowing of your leg, you might want to talk to a specialist. As with any incisional procedure, different complications might arise. A potential problem is developing blood clots post-treatment. To prevent this, the doctors will put you on blood thinners. These are also known as anticoagulant medications and come in two main forms: tablets or injections. With injections, there is no need to constantly check the level of blood thinning. However, when it comes to the pill form, regular blood tests are necessary to ensure everything is under control. 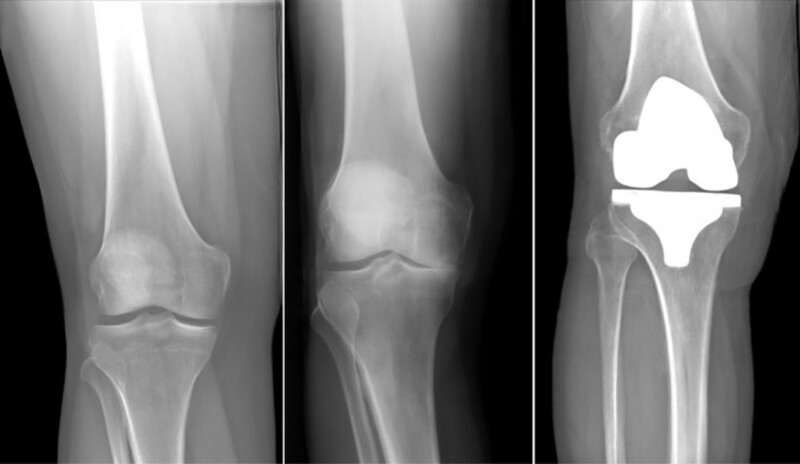 Computer-aided and robotic-assisted knee joint replacements are very precise and able to achieve high-quality results. This is not to say that conventional surgery is not a good option, it just has more drawbacks. When it comes to severe knee osteoarthritis, it is still a commendable practice. It is your doctor and their team that will figure out the best course of action for you. You will be presented with all the options and explained the processes in detail. Previous ArticleWhat is MAKOplasty and why it’s so popular in Singapore?